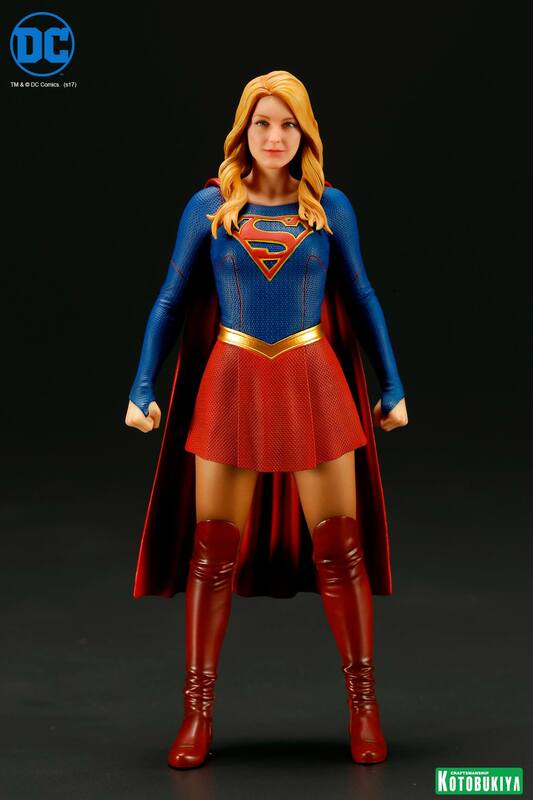 Kotobukiya has added the Supergirl ARTFX+ statue to their collection of statues in The CW series. The figure is 1/10 scale (just under 7-inches tall) and includes a display base. A KOTOBUKIYA Japanese import! Kotobukiya is taking its popular lineup of comic book and movie characters based on DC Comics properties to a whole new world with statues from DC television shows on The CW. 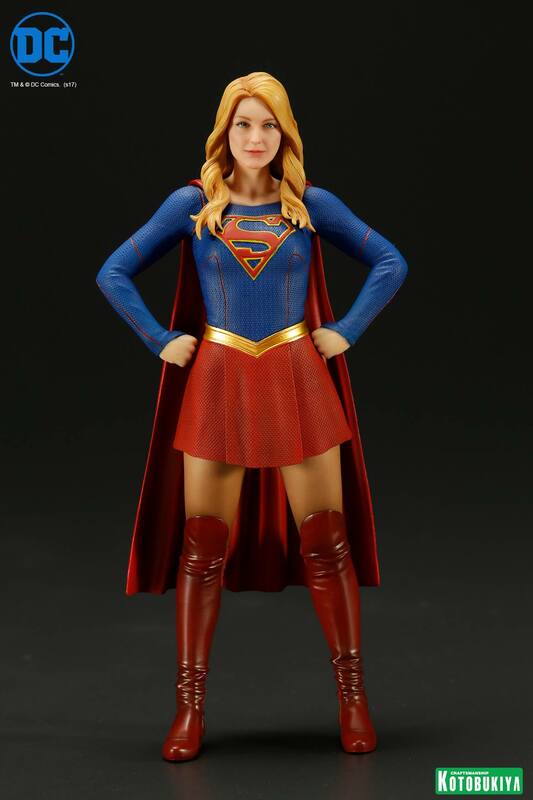 Coming to the 1/10th scale ARTFX+ Statue series after the Flash, Green Arrow, and the evil Reverse Flash is the Girl of Steel and protector of National City on her own show, SUPERGIRL! Kara Zor-El was sent to Earth from Krypton to care for her baby cousin Kal-El, but unforeseen gravimetric and temporal anomalies led to her ship arriving much later, and she grew up in the shadow of her famous family member. It was only as an adult that Kara decided to become a superhero and immediately the world fell in love with Supergirl. Now the mighty heroine stands tall in ARTFX+ Statue form featuring screen-accurate costume details and an incredible likeness of actor Melissa Benoist! Supergirl stands tall, ready to take on any threat with her super powers along with her unquenchable spirit. The protector of National City radiates strength and grace with her legs spread apart, body straight, and face looking straight ahead into danger. She wears the costume made famous on the television show complete with thigh-high red boots, red skirt, and form-fitting blue top with a gold belt-like band across her middle. There’s an incredible texture sculpted into the costume across Supergirl’s torso, and it’s further accented by red piping on her arms and chest and of course the bold raised red and yellow “S” shield! Meanwhile, a knee-length red cape hangs behind her. Thanks to Kotobukiya’s craftsmanship and new 3D rendering technology the heroine’s face is sculpted and painted to look exactly like actress Melissa Benoist. 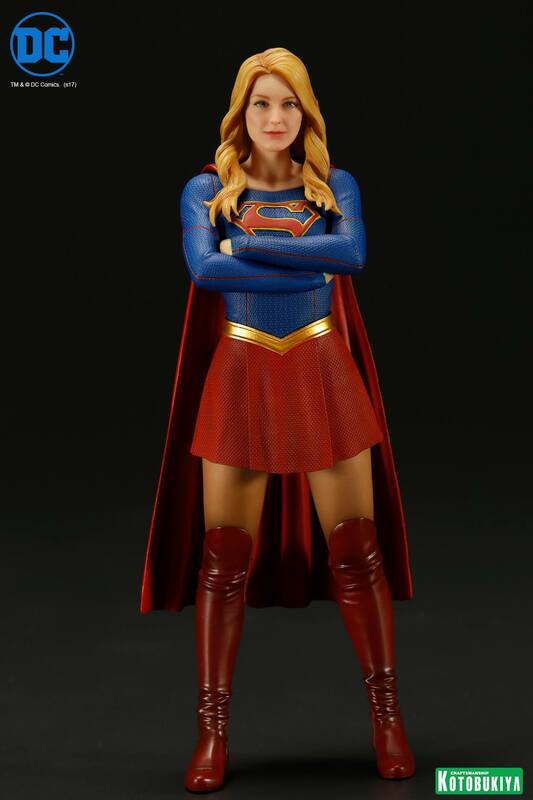 While Supergirl stands tall, you can display her in no fewer than three different ways thanks to included interchangeable parts; pose her with arms down at her sides, fists pressed to her waist, or arms crossed across her chest as you like! Supergirl stands just under 7 inches tall (in the ARTFX+ 1/10th scale) and stays secure on her included display base thanks to magnets in her feet. Kara is a hero for the ages and will look awesome in your home whether she stands alone or alongside other DC TV statues like Green Arrow and Flash! 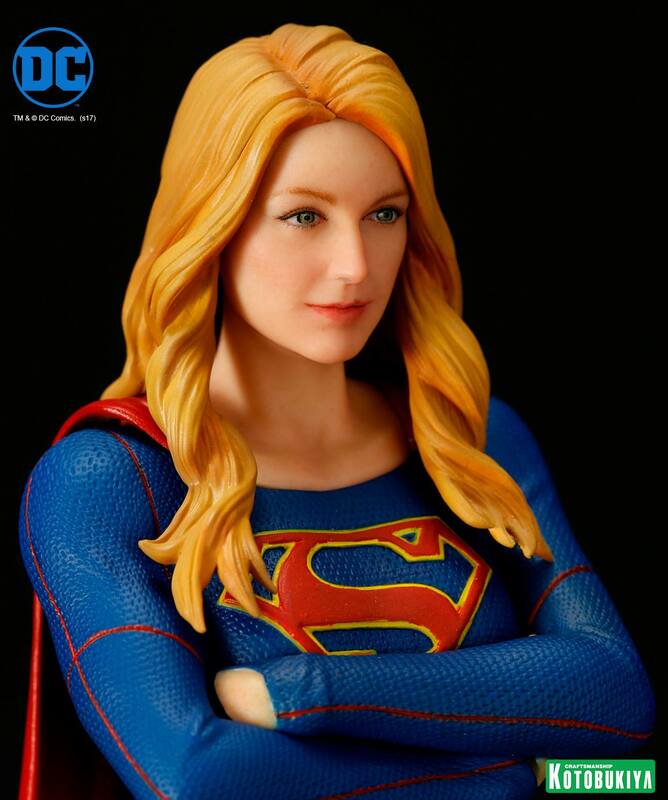 Pre-order the Supergirl TV Series ArtFX+ Statue from Entertainment Earth!